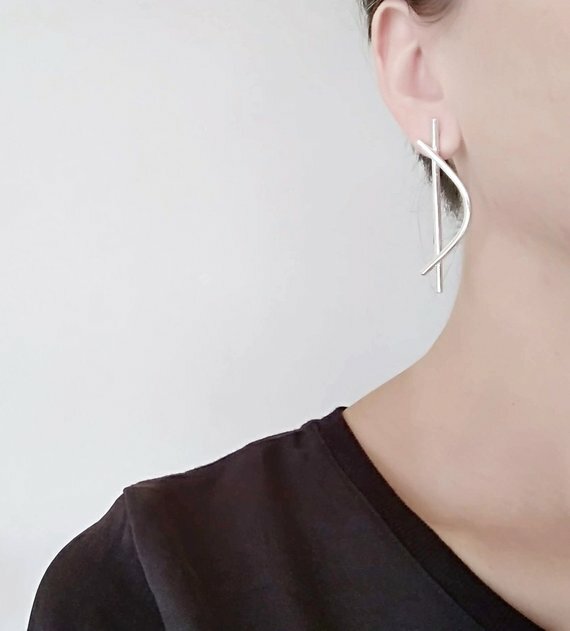 - The earrings are made out of round 2.5mm thick sterling silver wire. 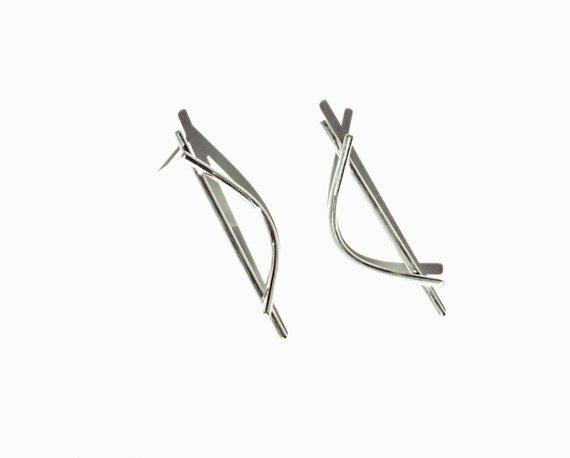 - Each earring is cut and formed by hand. 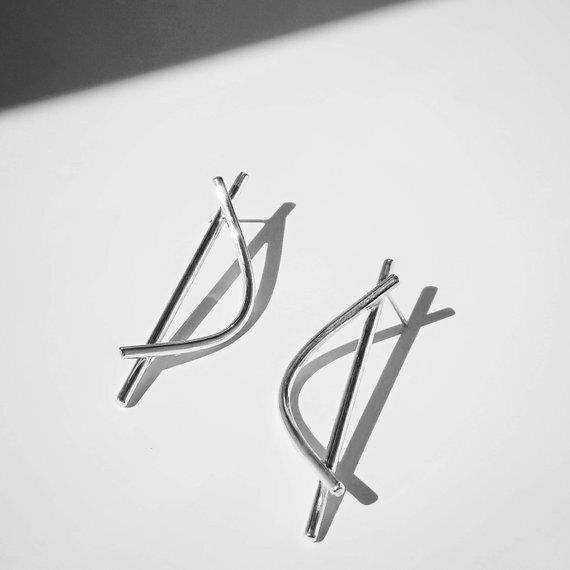 - The earrings measure 6cm long from top to bottom, 1.5cm wide.